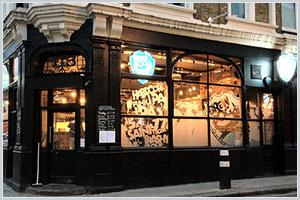 Brewdog Camden | Pub Quizzers | Find a pub quiz near you, now. Pub quizzes take place at Brewdog Camden, Camden on Tuesdays (weekly) at 19:30. Entry is £2.00, you can have up to 6 people on a team. There are prizes of cash, drinks, food. Happy quizzing! Follow @CompleatQuiz on Twitter and Facebook BEFORE the quiz as there'll always be a teaser question on there. Winners Qualify for Monthly Champions Pub Quiz Night Tell Us More About This Quiz! When did Margaret Thatcher become Prime Minister?